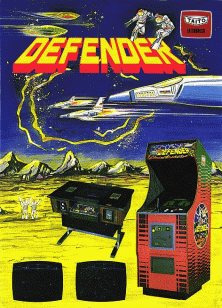 Defender was released in late 1980 by a company called Williams a former pinball machine maufacturer. This was their first attempt at trying to join the newly forming coin-operated amusements market. It was wriiten by a design team headed by Eugene Jarvis. 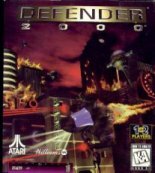 One of the key factors which make this an all time classic games must the way in which it is infuriating difficult without seeming unfair. Just trying to stay alive was hard enough without the combined difficulty of trying to prevent landers turning into mutants. 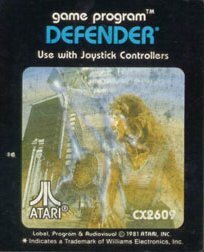 They did this by picking up the humans wandering the landscape carrying them to the top of the screen and fusing into new deadlier mutant ships. Around 60,000 of the original arcade units were sold and are still available now for around £2000 if you can find one.